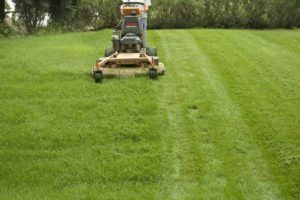 WE PROVIDE EXPERT SERVICE TO BOTH RESIDENTIAL AND COMMERCIAL CUSTOMERS WANTING WEEKLY LAWN MAINTENANCE AND SEASONAL WEED/PESTICIDE APPLICATIONS FROM AN FDA CERTIFIED CREW. 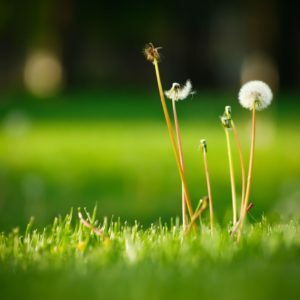 One of the best things your lawn can receive is proper weed control and fertilization. Don’t trust such a vital process to the first guy who comes along. 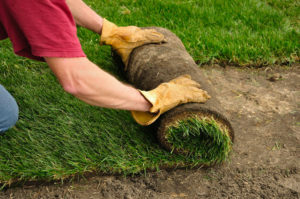 Our trained specialists are completely certified by the Department of Agriculture. 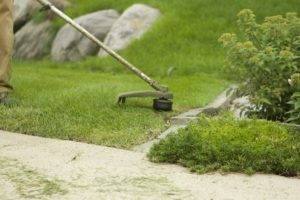 Our lawn specialists come to your home or business on time, neatly cut your lawn, and clean up lawn debris from driveways/sidewalks. 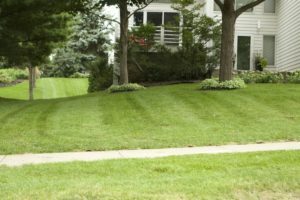 Your lawn will be the pride of the block! 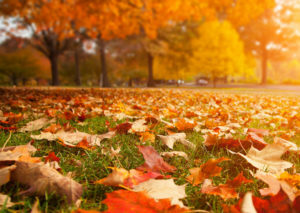 Are branches, garden waste, and leaves overwhelming your lawn? 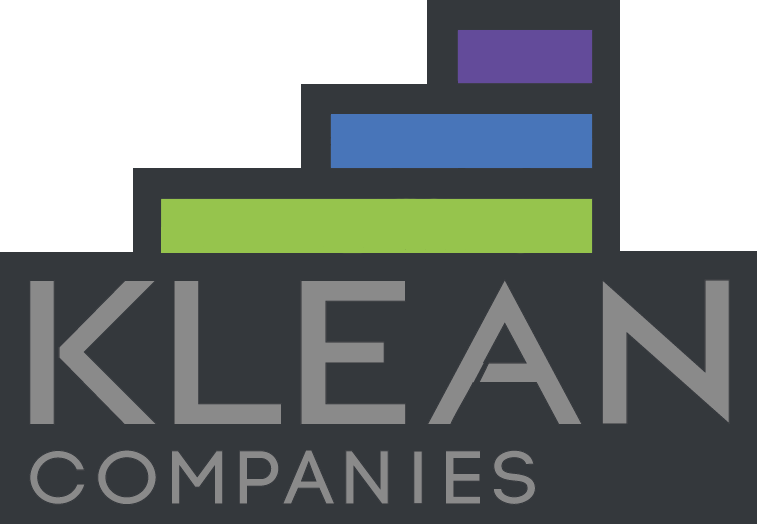 We’ll clear out the mess and make your life easier! 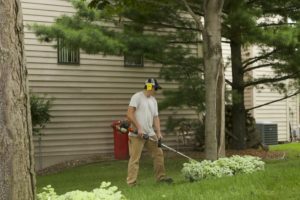 In minutes, our trailer-mounted vacuum grinder transforms mountains of leaves into mulch. 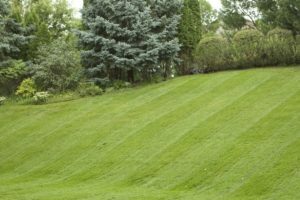 Want a consistently green lawn and landscaping? 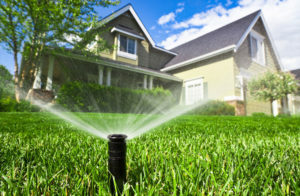 Our experienced crew will bury, construct, and service your new irrigation system. 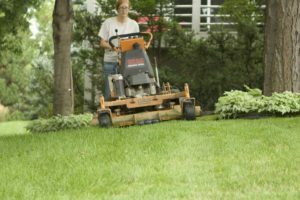 We have numerous options to fit any lawn and budget. 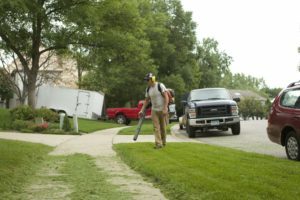 Have damaged patches in your turf from street plows or pets? 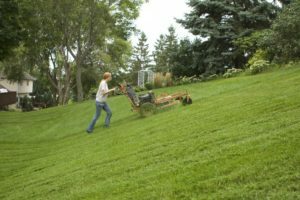 Starting your lawn from scratch? 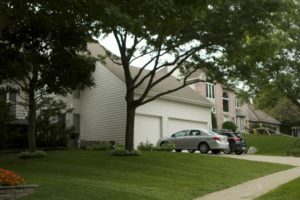 We will work with you to enhance the look of your property. 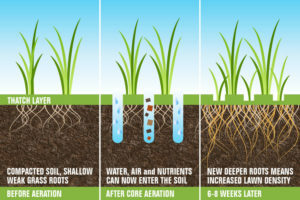 We can aerate, de-thatch, and overseed your lawn to improve density, color, and strength of your lawn. 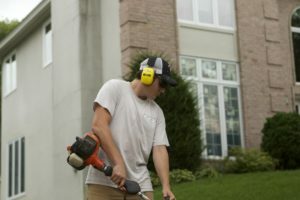 Our professional-grade equipment will produce professional-grade results that will have your neighbors noticing!